Step 1 In a wide saucepan, toast the buckwheat kernels over medium heat, stirring frequently until they smell toasty and begin to take on a deeper color, about five minutes. Remove from heat and cool a few minutes, stirring them to hasten the cooling. Set aside 2 tablespoons of the toasted buckwheat kernels, keeping the remainder in the pan. Step 2 Add the milk and salt to the pan of buckwheat. Warm the mixture to a bare simmer over medium-low heat, then remove from heat, cover and infuse for 1 hour. In Recipes-list.com we have selected the most viewed recipes from category - Desserts . Enjoy the best recipes specially selected for you! 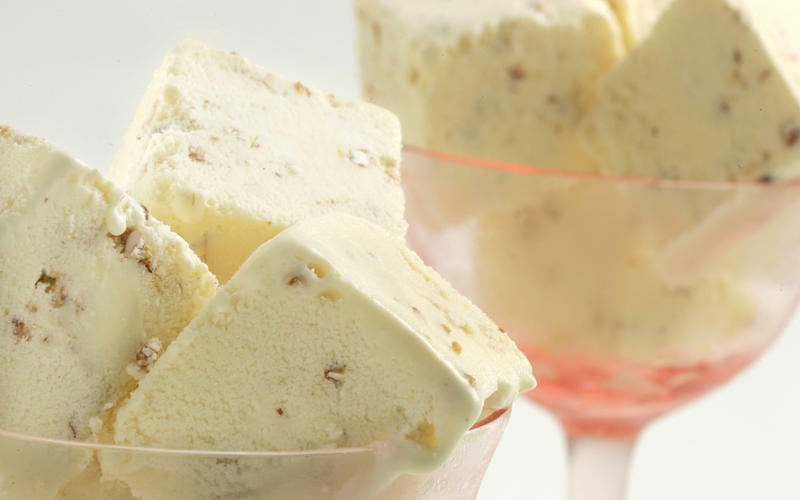 Buckwheat ice cream is the right choice that will satisfy all your claims.